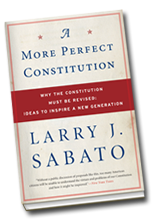 Here is your opportunity to vote on each of the 23 proposals in the book, A More Perfect Constitution, by Larry J. Sabato. The proposals are grouped by category. Feel free to answer the poll/polls of your choice. You must cast a vote before you are able to see the results. You can only vote once. Thank you! Send us your 24th Amendment! A selection of responses to "What is Your 24th Amendment?" Any change to or in amendment to our Constitution can, shall and will only be made to specifically reinforce the intent in the meaning as written by our Founding Fathers. Under any circumstance there is not a "balance of power" existing in the "Executive", "Judicial" and "Legislative" branches within our Federal government any laws, amendments enacted, changed or altered, including the creation or formation of any quasi or government agency or department shall and will not circumvent States rights or sovereignty, shall and will require a majority vote of the legal citizens as defined and written within our Constitution and Bill of Rights. The President shall have Power to fill up all Vacancies that may happen during the Recess of the Senate, by granting Commissions which shall expire six months later or six weeks after the beginning of the next session of the Senate, whichever shall occur earlier. Unless in time of War as Victory requires it, the Congress shall enact no Law regulating the Commerce occurring within any of the several States, including but not limited to the Price, Production, or Traffic of Goods and Services, or (except in Cases of Bankruptcy) the Negotiation and Conditions of Contracts or the impairment of the Same; but nothing in this Clause shall prevent the Congress from contracting for the Land, Labor, or Material that is necessary and proper for carrying into Execution the Powers of the United States explicitly enumerated in this Constitution. Congressional districts shall be contiguous and shall not violate established boundaries of the largest whole governmental unit contained. Thus a district containing whole counties may not contain partial counties. One containing whole cities may not contain partial cities, and so on. Half of each state's delegation to the House of Representatives shall be elected by a system of proportional representation. The number of Representatives elected to Congress shall not be capped, but shall remain at a ratio of 250,000 persons to 1 representative, as determined by the U.S. Census. Redistricting will take place only when new districts are required for proper representation. No U.S. elected official (or immediate family member of same) can gain financially from a military action that he/she ordered or helped to authorize. Outlaw the Central Banking System abolish the Federal Reserve buy them out for the required 450 Billion and return to Hard money currency as outlined in the Constitution. The principle of Money as Free Speech in campaigns for public office undermines the principle of One Man One Vote and shall be abolished. A uniform national system of petitioning the electorate shall qualify a citizen to run for office. Public funds and free air time shall be accorded to all qualifying candidates for direct debate. No private funding of campaigns shall be tolerated except during an initial petitioning process. Education, Law Enforcement, and Health Services should be run at a federal level, with stints in any of these areas counting toward the 2 years of service. Neither Congress nor the President shall have the power to inflict cruel and unusual punishment on any US citizens, prisoners of war, or any enemy noncombatants, except when there is a preponderance of evidence that an individual possesses knowledge of a clear and imminent threat of a mass casualty event [i.e. a "ticking time bomb"]. Any information or evidence obtained as a result of cruel or unusual punishment cannot be used in criminal or military prosecution unless it can be independently corroborated. In the event that a candidate for President does not receive BOTH a plurality of the popular vote AND a majority of Electors, a runoff election between the two candidates with the highest popular vote totals will be held within 30 days. The candidate receiving a majority of the popular vote in the runoff election shall be elected President. All Federally funded programs shall include a Sunset Provision wherein the date of that program's expiration shall be explicitly set down. No program shall have a Sunset date greater than 25 years from the date of passage. The order of the states during the primary shall be determined by percentage of voter turnout from the previous Presidential election. Each request for the appropriation of funds, or projects must be a stand alone request. No hidden riders, requests, or changes to existing laws will be included. The names of all people or parties making said requests must be attached to the bill and made public. The Disclaimer Amendment: Use of publicly held facilities by a non-governmental group does not constitute support of said group by any level of government. Facilities are owned by all Americans together and can be appropriately used by any non-government threatening organization for their desired purposes at times defined by the government... In other words, churches can use schools, Boy Scouts can use military bases and national parks, and the ACLU can hold meetings at the Pentagon. The people own it, therefore the people can use it, regardless of their beliefs. In recognition of the fact that a person’s health, happiness, and economic well-being are dependent in some degree on the natural environment, the right of the people to prevent the degradation of the common environment by any citizen, corporation, group of citizens or any other group or entity shall be inviolable and shall be defended by the government. In order to protect the national economy from unfair competition, Congress shall retain the right to levy a balancing tax on goods and services imported or provided by any entity which does not bear the burden of this responsibility, regardless of any legislation or trade agreement currently in place or subsequently adopted. The Federal government shall not at any time have power to levy taxes upon individual citizens or taxable organizations. The State or District government shall have authority to levy taxes only upon individual citizens or taxable organizations under its jurisdiction. The Federal government, in turn, shall have authority to levy taxes only upon the State or District governments. No court or jury within the United States or any jurisdiction thereof shall impose a sentence of death on a defendant in a criminal or civil proceeding. The electoral votes of any state in presidential elections will be divided proportional to the popular vote results, with any odd electoral vote to be awarded by meeting a winning standard of a clear 1% of the popular vote in that state. Limit Congressional power to regulate interstate commerce to actual commerce between states instead of the current broad interpretation of anything that might indirectly affect interstate commerce. Each Bill that becomes a Law shall cease to be a Law twenty years after the date on which it becomes a Law, unless some earlier date be specified in the Bill. Citizens shall enjoy these rights in or outside the United States against the United States or any of the states or any group or person employed by the United States or any of it's states, both overt or covert. No legal doctrines of any branch or level of government may alter or deny this right at any time. No citizen of the United States should provide more than one third of their personal income to the various taxing entities that have jurisdiction over them. If the combination of all of their taxes (including consumption and property taxes) exceeds that amount, the citizen may apply to the Federal government for a full refund of the excess amount and the Federal government may seek proportionate reimbursement from the taxing bodies. Reimbursement must be processed within 90 days of application and all taxing bodies must provide simple and clear receipts to each taxpayers upon receipt of any tax revenue. 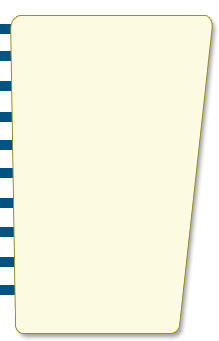 No present or past holder of any Federal office, elective or appointive by and in the Executive, legislative or judicial branch shall on leaving office for any reason lobby or otherwise represent any person, company, union, institution or other organisation which seeks a benefit from the Federal Government. Such activities will constitute a felony. Rights conveyed by the Constitution and legal standing in the courts are reserved for individuals. Corporations, organizations and political parties, committees and interest groups do not have standing in the courts nor rights conveyed by the Constitution. The president or any inferior executive officer appointed by him may be removed by a majority vote of the House of Representatives. All elections must have a paper ballot to back electronic voting. After 9 terms 26 years, anyone who is not a member of the leadership (Speaker, Majority Minority leader, whip, caucas chair, vice-chair secretary or policy committee chair) must retire. For service beyond a 10th term 29 years, one must be either Speaker, Majority Minority leader, or Whip to remain. In the Senate, similar concepts would apply, but after 3 six year terms you would have to make subcommittee chair, after 4 standing committee chair and after five, Majority Minority Leader or Whip. Again, members are free to go to the house, but years of service limits apply--the current leadership would have to guarantee a position of responsibility in the new body. This means not only would Representatives and Senators have to win the votes of their constituents (their bosses "the system") but also respect of their peers. By forcing the parties to declare their leaders up front prior to the election (as would have to be done to allow for certain members to run again for office), voters would be forced to choose their representatives not only for their positions, but who would be in charge of the Congress if their candidate's party takes power over the chamber. We saw this phenomenon in Rhode Island last year when well-liked and moderate local legend Lincoln Chafeee was defeated by Sheldon Whitehouse simply because Chafee's re-election meant Mitch McConnel and not Harry Reid would be in charge of the Senate. Forcing the people to consider not only their local interests, but the national direction of the country in their leadership choices would provide for a much more salient political statement. House of Representatives a. Members of the House of Representatives shall be chosen by sortition; i.e. selected at random from a nationwide pool of eligible citizens. Representatives will serve six-year terms. b. Those chosen may decline, or may resign at any time without penalty. Replacements will be immediately selected from the pool of eligible citizens, and shall serve to the end of the term. c. To ensure continuity, the House of Representatives shall be divided into three classes (as is the Senate), with one-third of the membership selected every two years). d. A commission shall be established for the purpose of administering the selection replacement process. No primary election may be held more than two months before the part convention. No debate, political add for office or campaigning may take place more than two months before the primary for that office.